There is an almost irresistible urge to add complexity to any endeavor. The result is a tangled knot of disparate good ideas. Because there is always more that could be added, there is never an opportunity for long-term satisfaction. Never enough. Sutherland offers a different vision. It is a very disciplined approach that refines design to the essential elements, and then executes the design to perfection. There is no allowance for superfluous clutter. Nothing extra will be allowed between the listener and his music. The PhonoBlock is the phono preamp Ron Sutherland designed for his home system. Its design was a self indulgence. There was no consideration to accommodate any market influences. 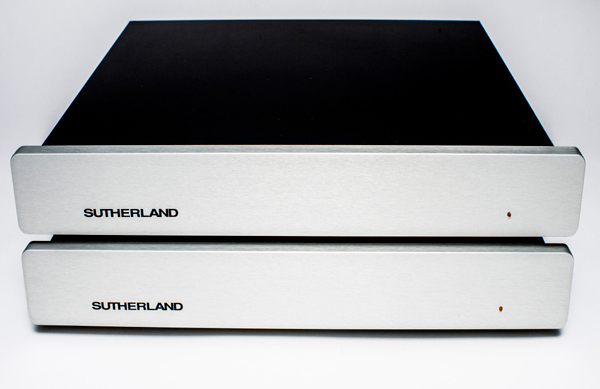 That mind-set gave Sutherland the absolute freedom to build his the best phono preamp to date. Much of the PhonoBlock’s effortless musicality can be attributed to power supply capability. The power supply is not ‘sized’ for the gain stage’s load. On the contrary, gain stage power requirements place an insignificant load on the power supply’s capacity. The power available to the amplifier section is a bedrock solid foundation. Precisely defined by fixed current regulators, shunt voltage regulators right at the load and over 100,000 microfarads (per mono chassis) for energy storage. It takes nearly 20 seconds for this huge reservoir to fill up when AC power is applied. For a design guided by simplicity, the PhonoBlock’s power supply may, at first, appear plenty complicated. Admittedly, it is both simple AND complex. It is a long chain of individually simple elements. Each element has a function of either filtering or regulation (also doing a filtering function). Each element inserts a level of isolation. The accumulated isolation is unprecedented. The DUO is derived from the cost-no-object PhonoBlocks and the cost-optimized 20/20. Each DUO has a built in AC power supply. There is an IEC power inlet on each chassis to accommodate the user's personal power cord choice. The shielded power supply module has one output. That output is split into two branches. One for each of the two gain stages. Each of those branches is independently filtered and regulated to provide a substantial foundation for the gain stages. The DUO mitigates circuit board dielectric properties using the same approach that has worked so well in the PhonoBlocks. Circuit board thickness is doubled from the standard 1/16” thickness to 1/8” thickness. Not only is dielectric absorption addressed, but further advantages are realized with an extremity rigid platform for component mounting. It is the cost-no-object, preferred way to go. 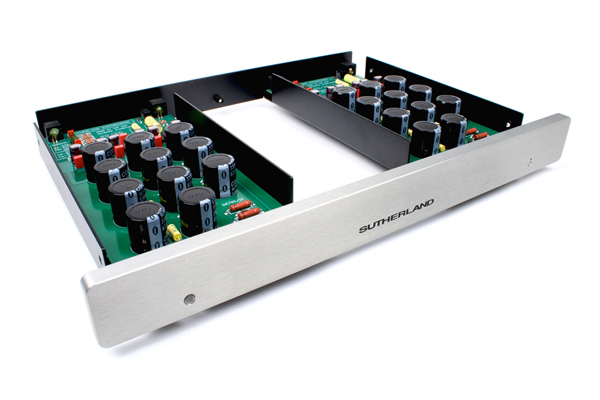 The Argentum Phono Preamp delivers the advantages of a silver signal path. The best starting point was the PhonoBlocks. For many years now, they have performed beautifully, setting a very high standard. 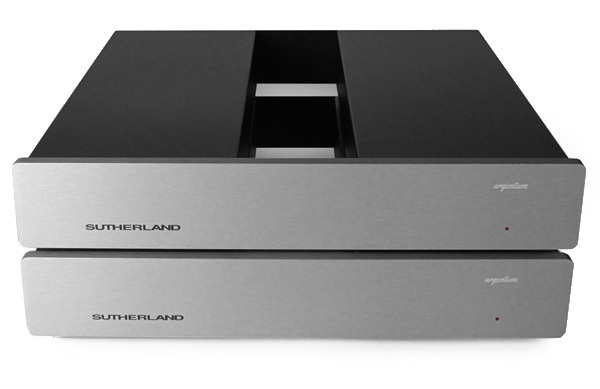 They compare very favorably with cost-no-object phono preamps. Just buying a roll of silver wire was not good enough. This was an opportunity to refine and optimize every aspect of signal flow. There was no concern for cost or construction effort. That is not to say it was a ‘blank sheet of paper’ starting point — anything goes. Not at all. Quite the opposite. It was very disciplined and focused on ONE thing. Figure out the very best way to bring a silver signal path to the phono block. In the Argentum all the socket disruptions are eliminated. That is, the socket is eliminated and the silver wires are soldered DIRECTLY to the IC pin. There are no circuit board traces or anything else introduced in the signal path. The Argentum is shipped with loading set to 200 Ohms. 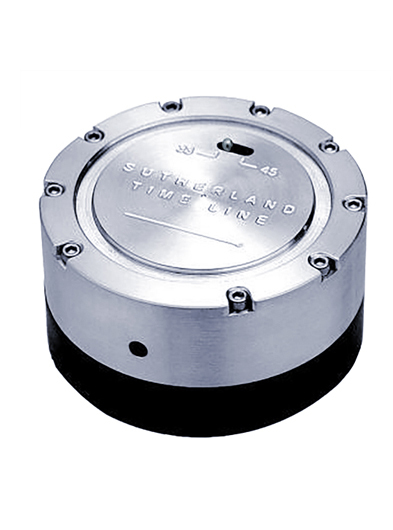 The Argentum is shipped with gain set to 60 dB. The MCX Phono Preamp optimizes the inclusion of moving coil step transformers in vinyl playback. Popularity of SUT (Step Up Transformer) is on the upswing. 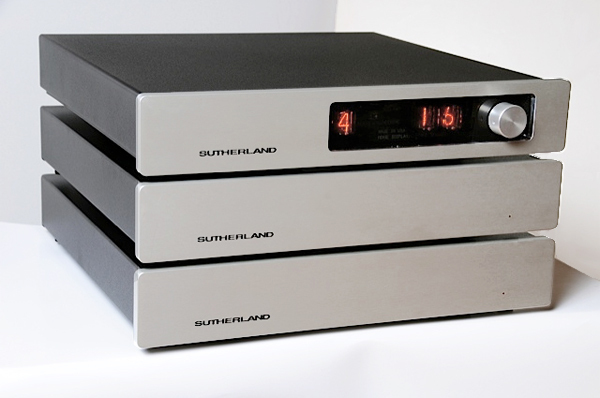 A good SUT in front of the phono preamp brings out a rich, lush and emotive character that is completely seductive. Sutherland realized it was time to take a serious look at the role a SUT could play in vinyl playback. 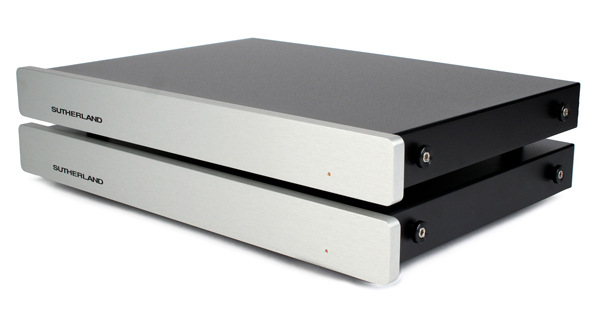 The best stereo phono preamp is actually two mono phono preamps. With a stack of two mono phono preamps, all the most subtle space and dimensionality cues are preserved. The MCX is just such a mono phono preamp. Cartridge loading is determined by the resistor value installed in the LOADING resistor socket. Your MCX ships with loading set to 200 Ohms. Gain is determined by the resistor value installed in the GAIN resistor socket. The advantages and enjoyment of vinyl are more treasured now than ever before. The N1 is a phono preamp, a line stage and a power supply, like the old fashioned days, all in one box. The N1 includes what one would expect from a modern design. It has remote control of volume, input and mute. Each component is carefully selected to bring you closer to your music. AND it uniquely incorporates Sutherland circuitry derived from the cost-no-object Destination series. To fully appreciate the heart-felt passion that went into every detail of the N1, you also need to study the thoughtful, meticulous layout inside the case. Every detail makes for ‘pride of ownership’. The machined aluminum front panel, the tempered glass display window, the understated minimalism — all speak of old fashioned pride of craftsmanship. OUTPUTS: Two paralleled per channel. The 20/20 phono preamp is AC powered and it is quiet! It starts with separate external AC power modules for each channel, followed by 10 sections of passive RC filtering and finalized with local constant voltage shunt regulation. It is derived from the best elements of the PH3D and the Hubble. The signal path is almost the same as the Hubble; the construction is as simple as the PH3D. It has an elegant esthetic of performance, value, craftsmanship and minimalism. The 20/20 comes as close as possible to offering an equivalence of battery isolation from AC line power. It is literally two identical mono phono preamplifiers. Each channel is on its own circuit board, has its own shielded compartment, power indicator, its own AC power supply and its own power cord. It is the ultimate in channel separation. The PH3D is a high-value example of high-end performance. There are no frills – nothing fancy. The parts budget all goes towards putting really good parts into the signal path. Those quality parts, combined with refined circuitry have given much listening pleasure to its happy owners. The Line Blocks are mono line-level preamps — two of them for stereo. You can carry the advantages of true mono construction all thru every element of your system (that is, everything but the cartridge!). The 3 chassis system has one chassis for input and volume controls and the display uses Nixie tubes. The remaining two chassis are for signal buffering and amplifcation. 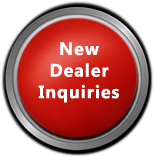 There comes a tipping point of accumulated knowledge that insists upon a new product. Insight gained from the design of preceding phono preamps opened up a new possibility. The Insight is a combination of solid, thoughtful engineering with an artisanal attention to every design decision. Every detail matters! Good enough is NOT good enough. All the areas of performance, aesthetics, reliability, circuit design, circuit board layout, parts selection, packaging --- ALL of those aspects must seamlessly dovetail into one expression. For those with a taste for understated elegance, the Insight will deliver an enduring pride of ownership. The physical artistry is a means to solid, reliable, musicality. There is no affectation. Just a simple, pure link to your recorded treasures. It faithfully delivers musical joy, year after year. Pride of ownership and sublime performance–way beyond its modest price. As an instrument designed to keep the finest of turntables running at exactly the correct speed, there is simply no equal. With a time-base accuracy of 2 parts per million, the Timeline is the very definition of precision. The Timeline flashes its laser at precisely 33 1/3 (or 45) times per minute. If your turntable is rotating at exactly the correct speed, the dot is stretched into a line segment that is projected to the same place on every revolution. If, however, your turntable is too fast, the projected line segment will drift in a clockwise direction. If too slow, into a counter-clockwise direction. Adjust your turntable speed accordingly. The Timeline will also reveal any loading effects of stylus dragging forces. The Timeline has also been designed to serve as an indispensable record weight that will effectively dampen the vinyl, providing quieter playback. Its machined Delrin lower section couples into the vinyl. That interface section is then tightly constrained by the rigidity of the machined aluminum upper section. Playback will be significantly improved by leaving the Timeline in place during playback. Also made Stereophile's "Recommended accessory" list for years 2012 - 2014 and Stereophile’s Products of 2011 Joint Accessories of the Year–Timeline, Runner-up. Positive Feedback 2011 Editor's Choice Award Winner! IMPORTANT: Products and specifications are subject to change without notice. Type in your search and press the enter or go button.